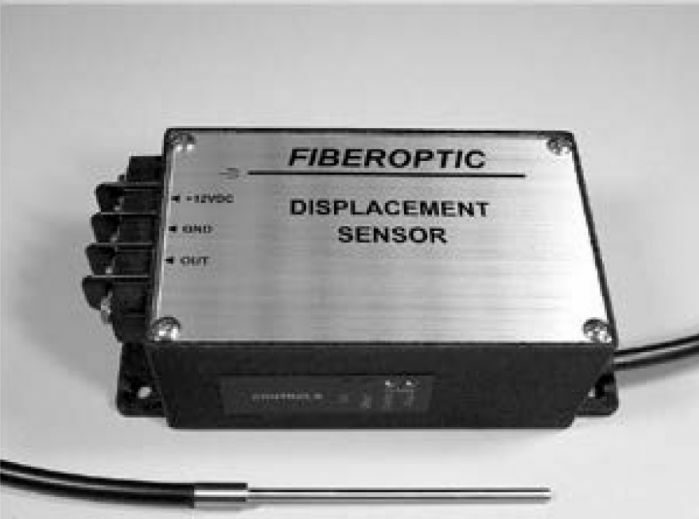 Scantron stocks a number of fibre optic displacement sensors that can aid in ensuring your workplace remains efficient. Applications are as wide ranging as measurement of clearance in a turbine, measurement of thermal expansion in a material, or displacement of fluids under pressure. These are retro-reflective optical devices that use sensors with bundled glass or quartz fibres that transmit light to targeted surfaces and in return also receive light from such surfaces. The intensity of the reflected light is then processed to identify and provide the distance between the sensor tip and targeted surface. They are designed to be robust and withstand extreme temperatures without fail while also operating at a high frequency capacity up to 200 kHz. 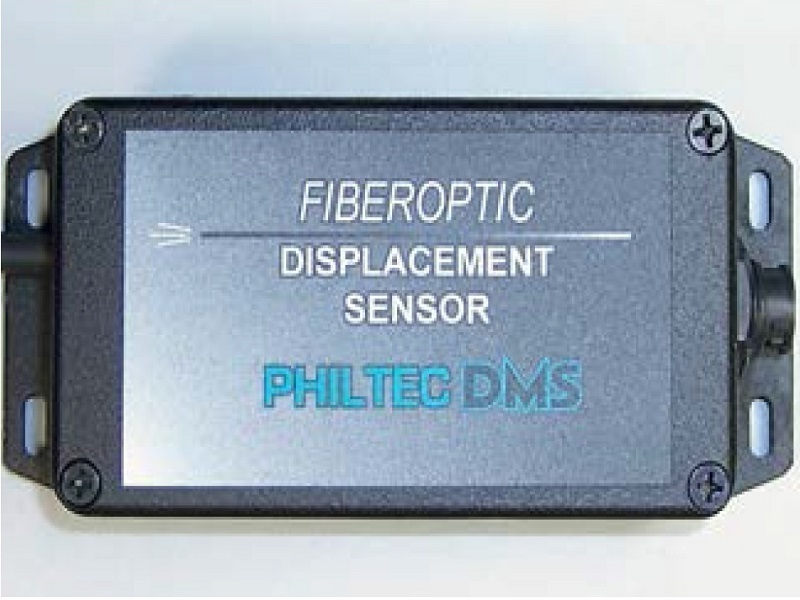 Philtec fibre optic sensors come with two models: there is the D series, which provides an output signal that is proportional to a specified target gap as well as proportional to changes in reflectivity of the target surface, while the RC series provides an output signal proportional to only the target gap. Unlike the D models, RC models are independent of changes in reflectivity of the target surface. The D Models, also known as Reflectance Dependent, are used when working with a single axis vibration along with stroking motions where the target reflectivity is constant. Comparatively, RC models, which refers to Reflectance Compensated, are meant for use when working with translating and rotating targets. This is when the target relativity is variable. 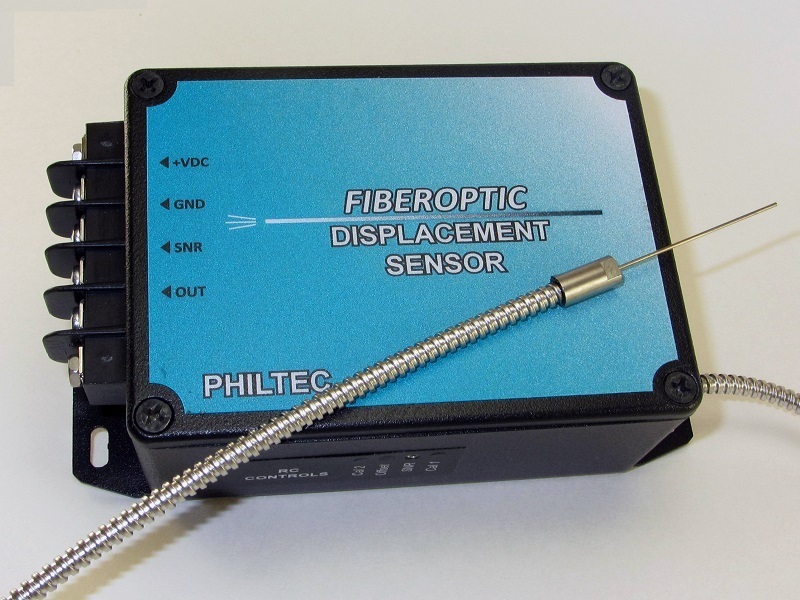 Fibre optic displacement sensors can be used with applications that include: rotor runout, thermal growth, distance of glass, displacement of fluids, actuator stroke, diaphragm deflection, read/write head tracking, solenoid travel, the measurement in vacuums when dealing with cryogenic temperatures, compressor blade vibration, shock testing and thread inspection, among a variety of others. This versatility provides a fantastic option for distance measurement requirements and can result in significant, accurate data being obtained in small or hazardous spaces. Furthermore, its fibre optic principle ensures a complete immunity to magnetic and high voltage electric fields, meaning it can be used in areas where inductive and similar sensors have previously proven inoperative. RC models (Reflectance Compensated) are used for translating and rotating targets, where the target reflectivity is variable.